Our elderberry bush (Sambucus nigra) is full of flowers , so I have made some elderflower cordial. It is easy, but a bit messy! 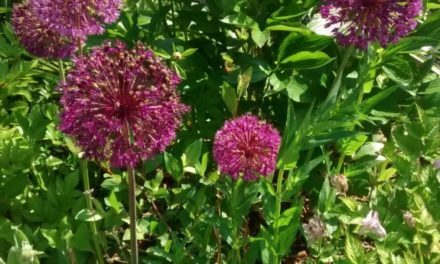 Pick the flowers when all of the florescence is ripe, but not brown. Put the water and sugar into a large saucepan. Dissolve the sugar completely then bring to the boil, this makes the syrup. Add the flowers to the saucepan, after giving a shake to remove some little bugs. Bring to the boil, then immediately remove from the heat. Thinly slice the fruit into a large bowl and add the citric acid. Pour the hot syrup containing the flowers into the bowl. Stir well, cover and leave for 24 hours. Use a sieve lined with muslin and pour the liquid into bottles or jars. Seal the container and keep in the fridge for up to 2 months. In addition, some can be put into plastic containers or ice cube packs to be frozen. 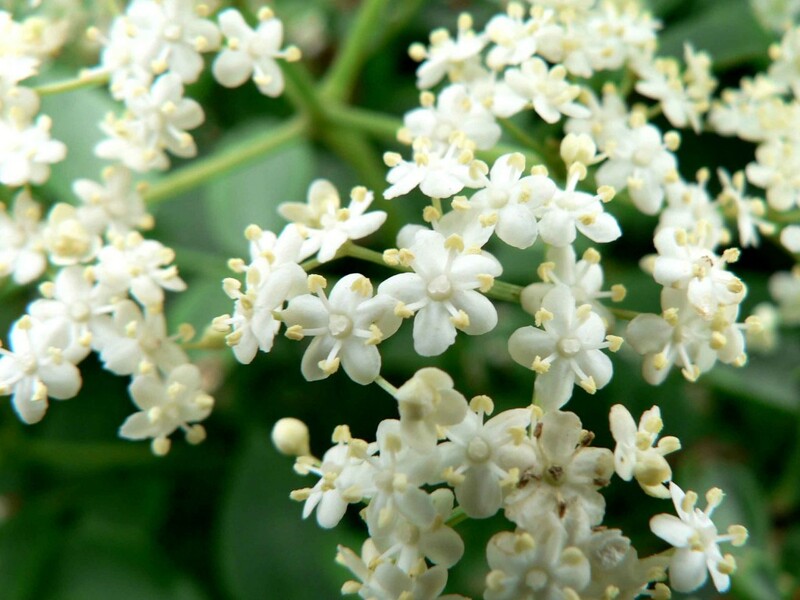 Dilute to taste with water, or use to make lots of other elderflower treats. TIP. Citric acid can be bought at Lakeland and Wilco stores.